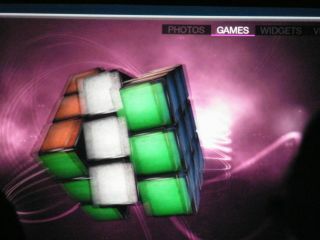 TAT duly showed off someimpressive demos, including 3D widgets, games, a 3D Rubik's cube and more. Although the tri-dimensional announcement was somewhat played down by the Canadian communications company, the fact that the entire 6,000-strong audience were given 3D glasses for 'a special 3D presentation' from RIM co-CEO Mike Lazaridis, makes us suspect that it will be rather more of a big deal in months to come. The glasses were required to see the 3D PlayBook content which was relayed by HDMI cable to the big screens - the same can be emulated at home to a big-screen TV.